Stevia, also known as sweetleaf or sugarleaf, is a member of the sunflower family and native to South and Central America. It is commonly used as a natural alternative to artificial low-calorie sweeteners. 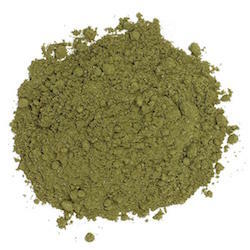 Organic Green Stevia Herb Powder works well added to warm beverages such as coffee or tea, and cold drinks such as fresh-made lemonade and sun tea. Use a little to sweeten smoothies and fruit salads.